I have been working on web application development since last 12+ years and had privileged to work on more than 20+ different project. Now days the expectations from web apps are totally different than it was few years back. 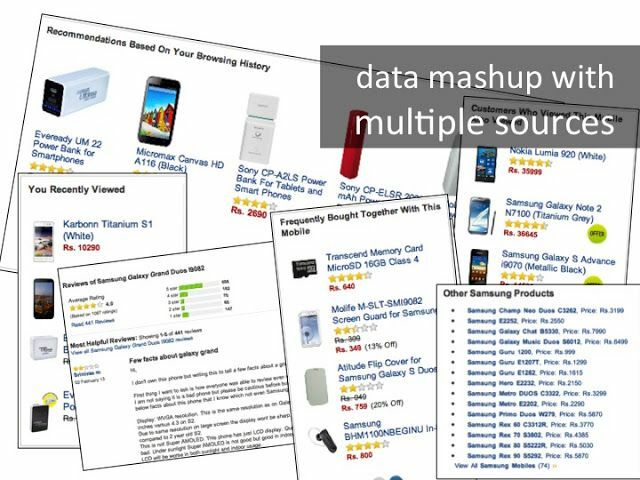 End users are provided with rich content on single page (Amazon, CNN, …). On a single page, lots of data needs to be mashed up and data may come from different sources. We know how to put together the N-tier architecture. 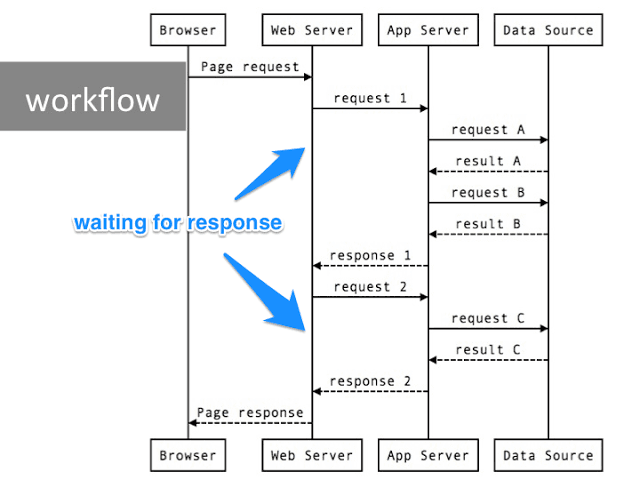 Now if we notice the above workflow, it is sequential and most of the time thread on web server and app server spend is waiting for response form app server and database respectively rather than doing some meaningful work (processing). This is what is called BLOCKING. Lets take same example and try to draw web server thread timeline. RED is time spend by thread waiting for response/result from app server. And GREEN is the time spend doing some meaningful processing by web server. In above example it was total 10 sec response time and 1 thread involved in processing. Lets assume that above 3 calls to app server can be parallelise to optimise response time to end user. In parallel processing the response time was reduced to 7 sec. However, total 4 threads participated in processing and in total 13 sec of thread time it took. Again here also the processing was BLOCKING. Which means parallel processing provides better performance in terms of response time, but required more resources to process the request. If we can achieve non-blocking architecture than the response time goes down to as low as 5 sec. And also consumes less thread resources. Now the question is how I can achieve this? In today’s polygot programming world, we have plenty of alternatives available. Non-blocking is not new, Nginx is event based and uses similar principle, Messsage based architecture is another classical example to solve similar problems, however that brings in asynchronous complexity. MongoDB and similar polygot persistence works on same principles and provides eventual consistency. 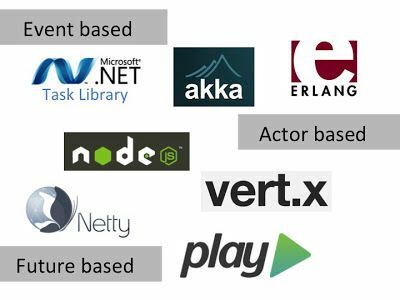 Play Framework, this is Scala based web application framework. Framework is very mature and easy to adpat for Java shop organisations. It uses internally Netty, Scala and Akka and provides very nice abstracts to avoids callbacks hell. Based on Scala means love for OO programmers as well. Akka can also be used independently. Disclaimer: Consider non-blocking architecture when your application have blocking calls and wait times. If your application has more about computation/processing and less or negligible blocking/waiting time the above architecture pattern may not provide better or favorable results.